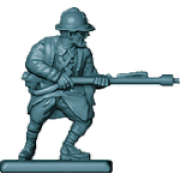 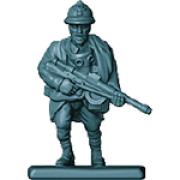 Players can command armies of detailed, hard plastic, 1/100th scale miniature figures representing British and German troops of the time. 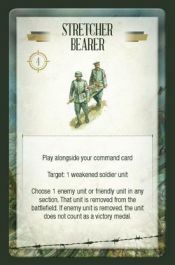 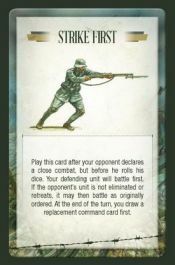 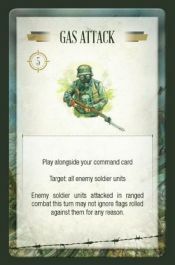 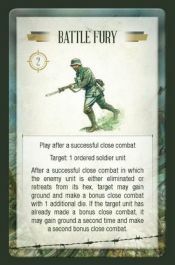 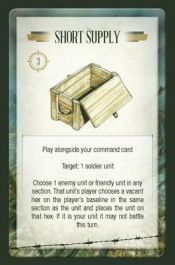 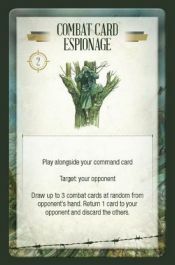 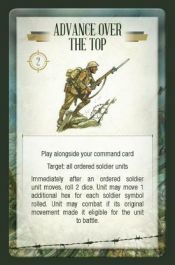 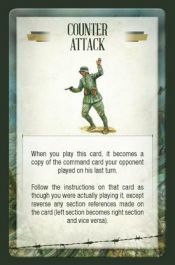 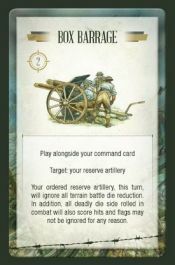 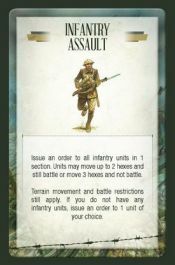 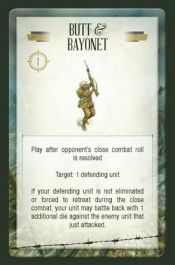 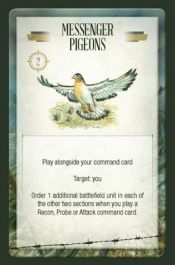 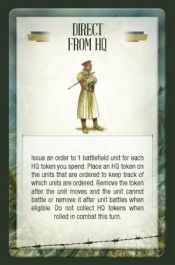 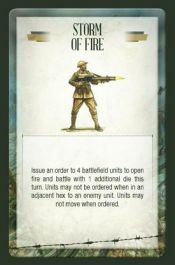 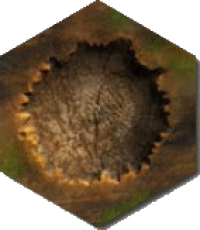 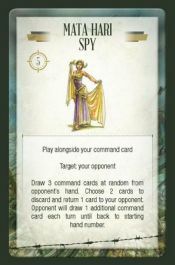 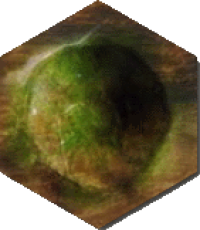 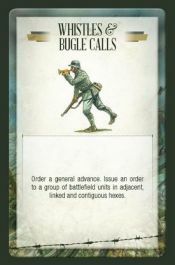 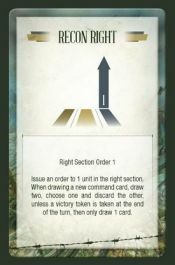 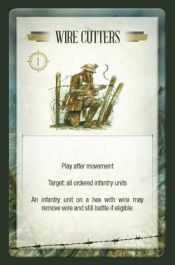 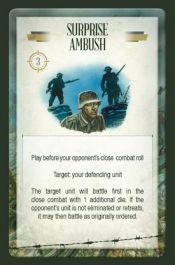 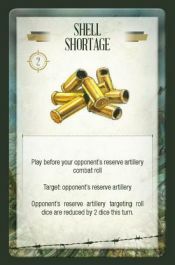 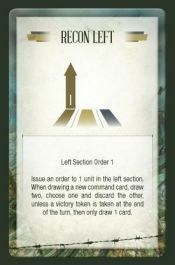 The confusion of battle and challenges of command and control are provided through command cards, combat cards and HQ tokens that limit what can be done each turn and custom dice are used to resolve the effects of any combat that occurs. The game includes scenarios to allow the re-enactment of battles such as Loos, The Somme and Vimy Ridge as well as many other actions. 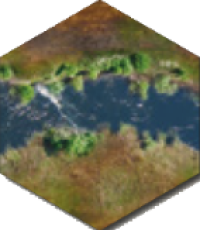 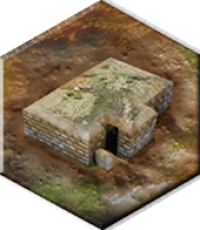 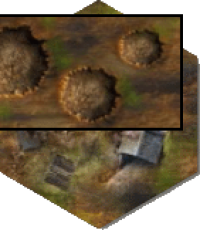 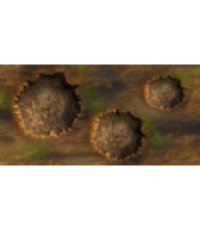 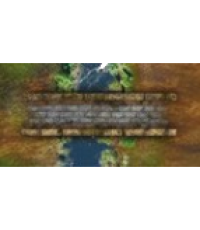 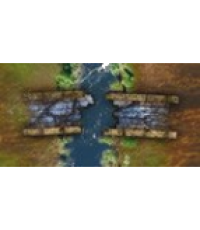 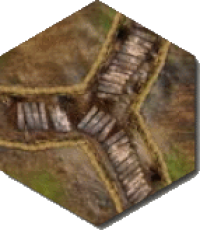 The board can be reconfigured using terrain tiles to reflect any battlefield of the period and allows additional scenarios to be created. 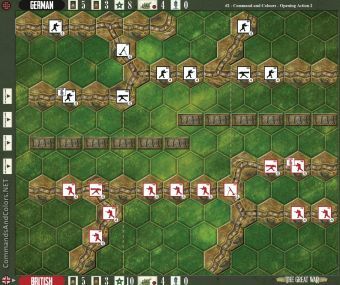 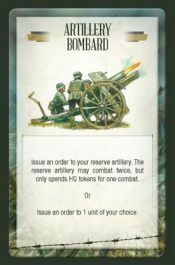 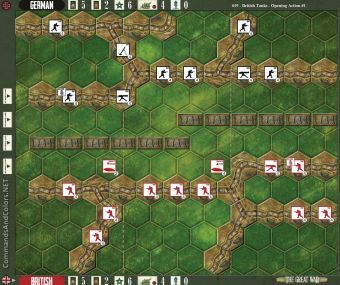 This is the first game in a series that will in time cover all aspects of the war on land with additional figures including cavalry, tanks and artillery and additional nationalities (France, USA and Russia) being added in subsequent modules. 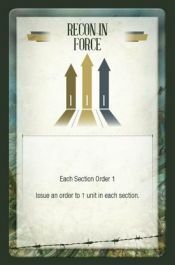 Future expansions will add other new mechanics and game elements, and open up more opportunities for player-vs-player action. 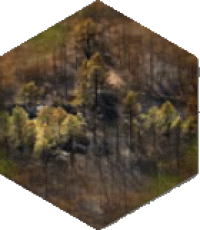 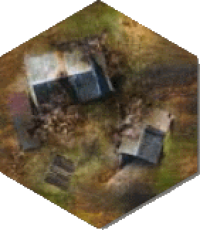 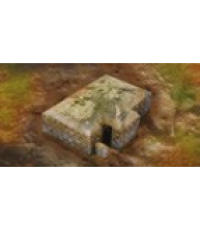 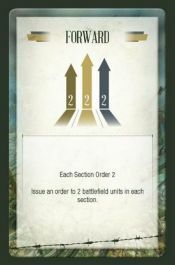 A unit with a special personnel figure will be labeled on a scenario map. 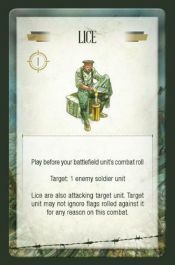 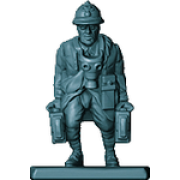 When a special personnel figure is deployed in a scenario, the special personnel figure is added to a unit when setting up the battle, giving the unit one additional figure. 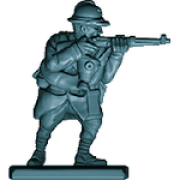 A special personnel figure’s pose, and its square base, will identify a special personnel figure in the battlefield unit. A special personnel figure must move along with its unit. 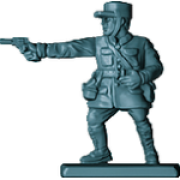 The special personnel figure is not transferable to any other unit. 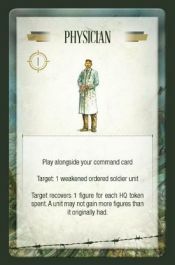 The special personnel figure does not count as a figure that can be removed to satisfy losses. 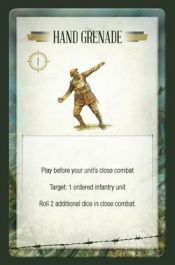 When a unit with a special personnel figure loses one or more figures in combat, there is a chance that the special personnel figure may also be removed. 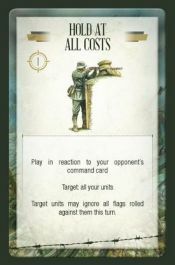 Your opponent will roll one die to see if the special personnel figure is also removed in addition to the other figures. 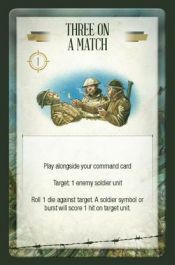 If the Deadly Die side symbol is rolled, the special personnel figure is also lost and removed from the unit. 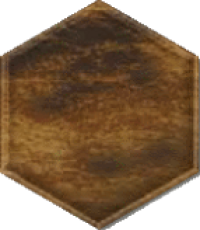 All other symbols rolled on this check are ignored. 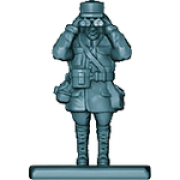 When the special personnel figure is lost, the unit no longer will receive the special action of the special personnel figure. 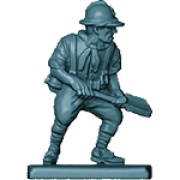 When a special personnel figure is removed, it will not count as a Victory Medal. When the last figure in the unit is eliminated, the special personnel figure is also removed from the battlefield along with the last figure of the unit. 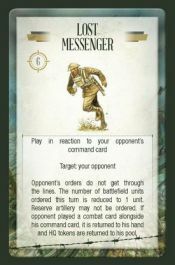 Command cards are used to order troops to move, battle, or do something special. 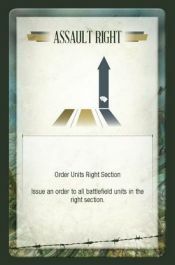 Units may only move or battle when given an order. 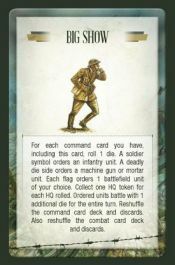 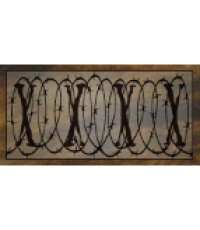 These cards represent military actions and sometime unexplainable WWI happenings or unit abilities. 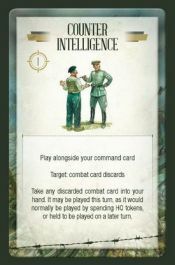 These cards may hinder the opposition army, enhance a player’s units, or may instantly change the course of a battle. 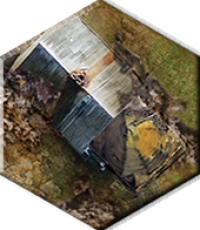 We are delighted to announce Tank! - the first exciting expansion pack for Commands and Colours: The Great War by Richard Borg. 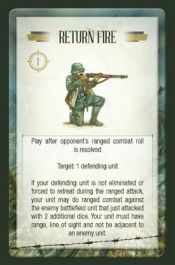 We are running a Kickstarter campaign to help fund the production costs of the first print run! 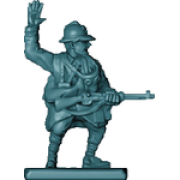 We are offering pledges at a good discount to rrp/msrp plus the chance to add lots of Great War products to your pledge at discounted prices (including the core game and another expansion pack of 3 Whippet tank models. 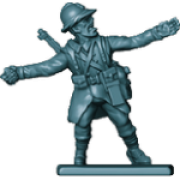 And, of course, we have some great stretch goals! If you backed the Kickstarter campaign for the core game then don't forget you have a GBP 10 voucher. If you would like to apply this voucher to this Kickstarter then just deduct GBP 10 from your pledge and leave a note with your KS backer number from the core game campaign - we'll sort out the paperwork! 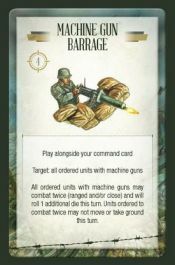 This expansion pack contains 6 highly detailed and pre-assembled 1/100th scale World War One British and German tank models, 2 German artillery pieces and 8 crew figures, 2 A4 punchboards of tokens and new terrain tiles and a booklet of additional Tank special rules including bogging down, on board artillery rules and "tankschrecken" and 18 scenarios to enable players to recreate the iconic first tank battles amongst the trenches of the Western Front in 1916-1918 such as Cambrai, Villiers-Bretonneux. Included are bonus Whippet tank scenarios and rules for onboard artillery.